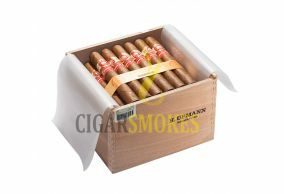 The H Upmann cigars are highly recommended cigars that are cheap and available online. They are considered as premium cigars. The line of this brand gives a complex flavor and a smooth taste. This cigar is greatly celebrated in every occasion, starting form wedding or the birth of a child. Its overpowering aroma provides the smoker a soothing mellow midday smoke. This brand, H. Upmann is one of the oldest brands of Cuban cigars. Established in 1900s, it has come quite a long way from an unknown brand to now being one of the oldest known and respected cigars. Altadis USA is a successful cigar producer, and therefore, H. Upmann brand is going to be very widespread in the days to come.